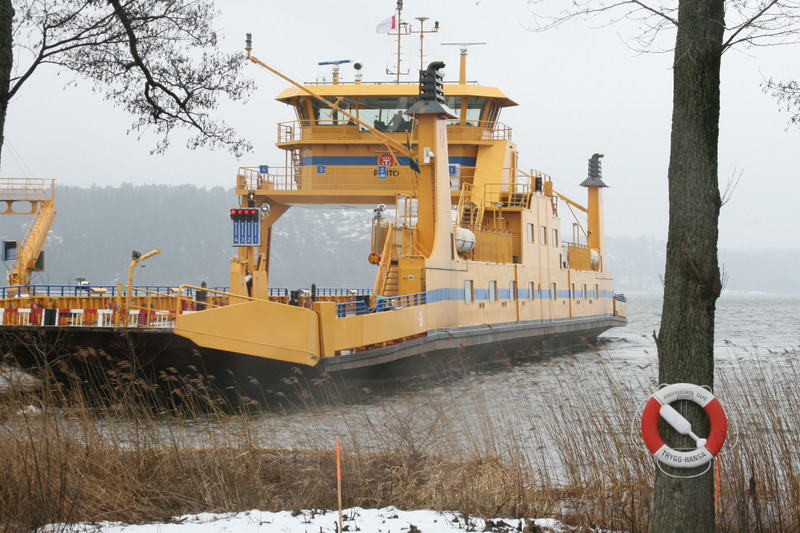 “If everything goes ahead as planned 2016 will be an extremely busy year for contractors,” says Johan Brantmark, project director at the Swedish Transport Administration (Trafikverket). The organisation has begun the procurement process for the country’s most ambitious road project, a new 21km road link from north to south skirting the western periphery of the city. Billed as Sweden’s M25, Brantmark explains that the road is a vital part of stimulating economic growth in the Stockholm region and reducing the vulnerability that comes from only having one main route between the north and the south of the city, the 1967 built Essingeleden crossing. To provide much needed resilience to the city which is growing at the rate of around 40,000 people per annum, Trafikverket will oversee construction of a new highway running from Skärholmen in the south up to Häggvik in the north (see map). Twin tunnels will host 18km of the link which will be created using drill and blast through the hard granite bedrock underlying Sweden’s island capital, Stockholm. Running beneath the Lake, and ensuring that the tunnel passes through the best quality rock means that at its deepest point it dives to 60m below ground level. At SEK 28bn (£2.5bn) the project will not be cheap but a tunnelled approach was deemed vital to preserve the environmental heritage of the area. The new road runs near a UNESCO World Heritage site - Drottningholm Palace, residence of King Carl Gustav of Sweden, which itself is situated on the island of Lovön, in Lake Mälaren. In total Trafikverket will let 50 contracts for the scheme using a mix of design and build and build only contracts. Contracts for two access tunnels at Skärholmen at the southern end of the link have already gone out to tender and prequalification has just started for two further packages. However Brantmark says that formal tendering will not commence until the summer following the final approval of the land acquisition plan. The biggest contracts will be six build only packages for the tunnel and six design and build contracts for the major interchange points. But before this there is still lots to be done and the organisation is highly prepared having already begun negotiating contracts to sell the rock excavated – a move intended to create a more level playing field for the contractors that bid. On the same theme Brantmark says that the building information model software has been created with a neutral platform so that contractors can use their own preferred systems. Brantmark has already been hosting information sessions with major contractors from overseas. “We welcome international competition and we are actively seeking that,” he says pointing not only to the new road project but also the planned metro extension, new tunnelling works for high voltage electricity cables and new sewers. Work is also ongoing on another major project – expansion of the city centre rail network with two new station boxes recently completed alongside 6km of new tunnels. 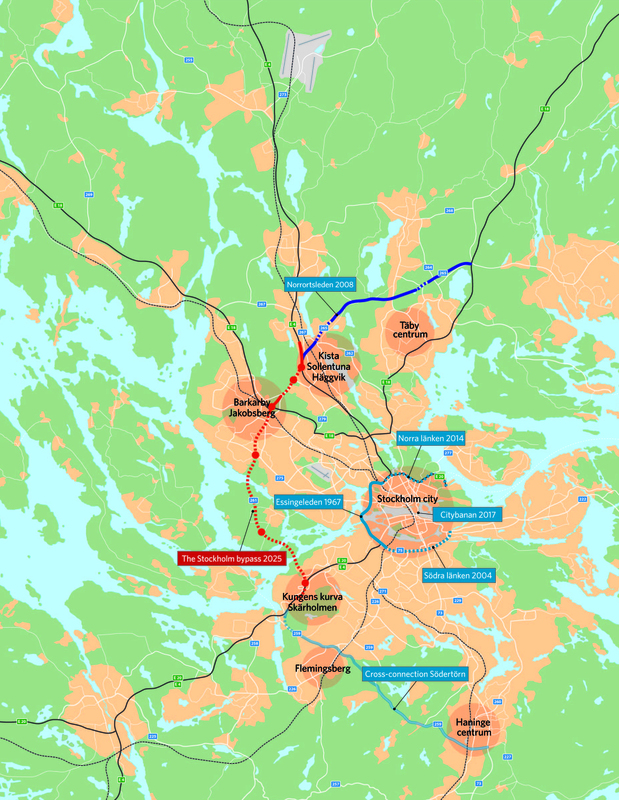 The scheme will double rail capacity in central Stockholm. “Construction of the works started in 2009. We have blasted all the rock and excavated just over 4Mt,” says project manager for the City Line project Kjell-Åke Averstad. This means completion of the SEK 20bn scheme by late 2016 rather than late 2017. By this time construction on the Stockholm bypass should be well underway. With a 10 year construction period final completion of the new road link is expected in 2025.